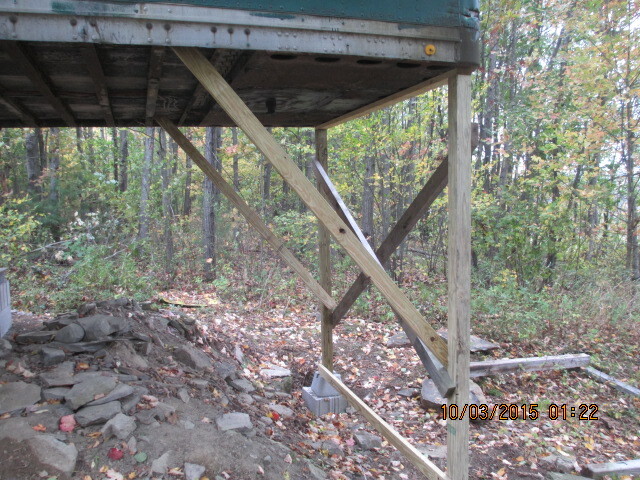 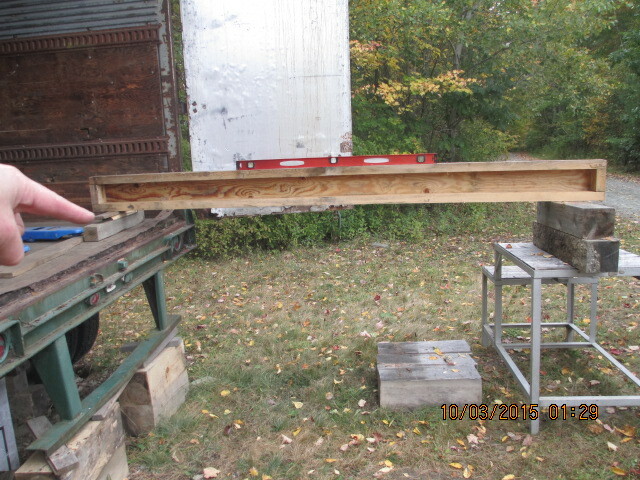 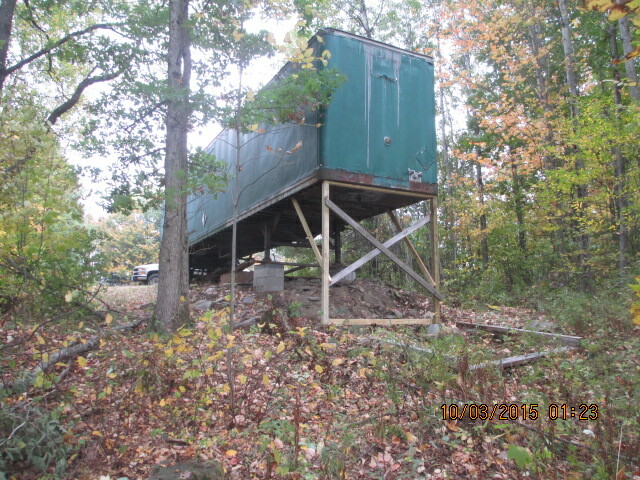 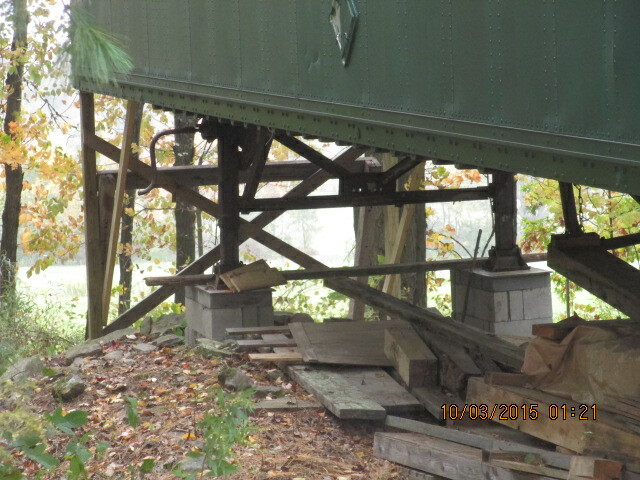 On 9/27/2015, Jeff Chimileski helped Jim Driscall and Jim’s father Larry to construct improved support structure under the trailer that stores the clay birds.We will check and perhaps make adjustments after allowing the trailer to settle for a week. 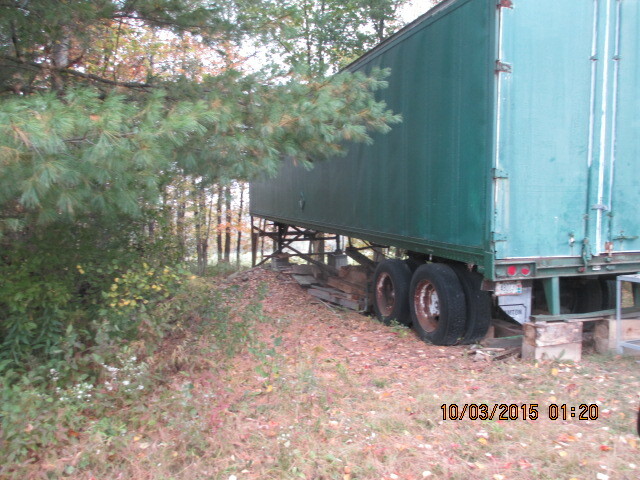 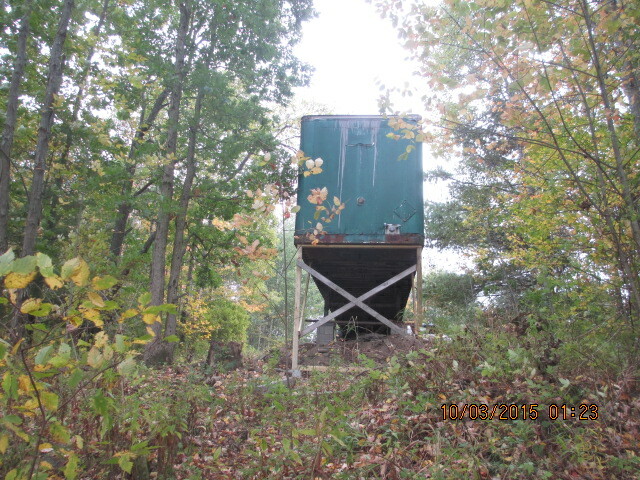 Saplings and brush have been largely removed from around the trailer. 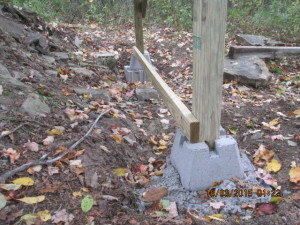 New treated 8 foot 4×4 posts in the front replace the untreated 7 foot 4×4 posts. The untreated left-to-right criss-cross braces were re-used, but a treated 2”x4”x8’ is now installed as a header across the top and another across the bottom. 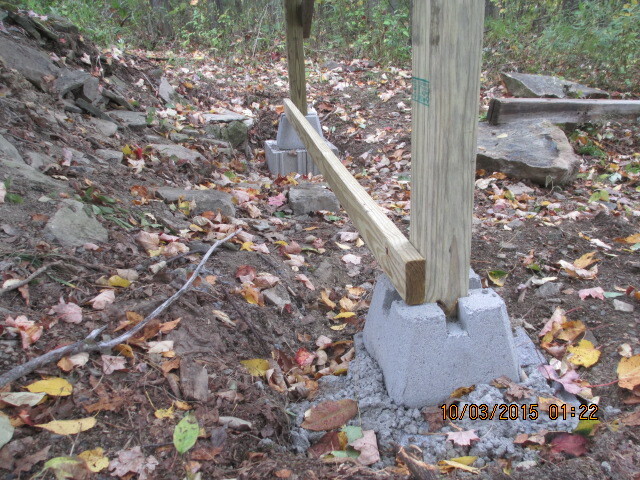 Concrete blocks and post footer blocks replace the odd shaped field stone. 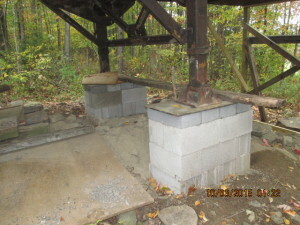 A new feature was added. 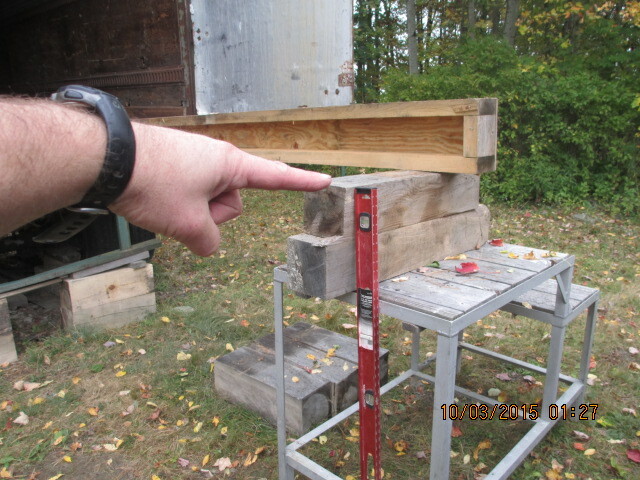 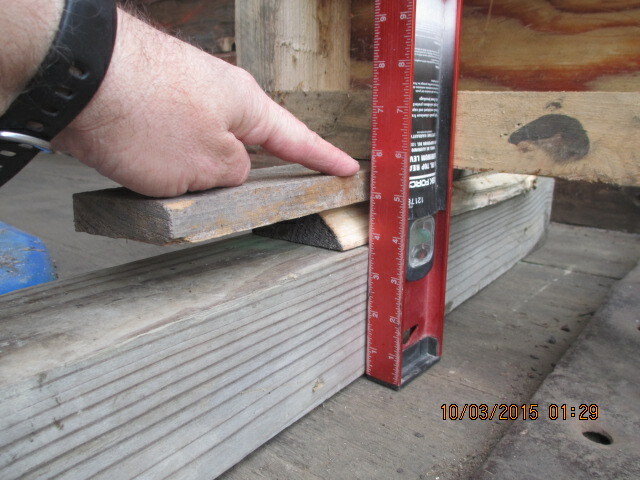 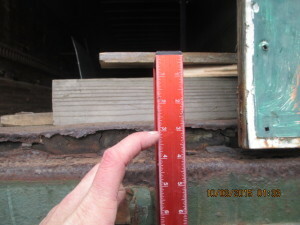 There are now 45 degree angled diagonal supports from the posts up to the wooden decking of the trailer floor. 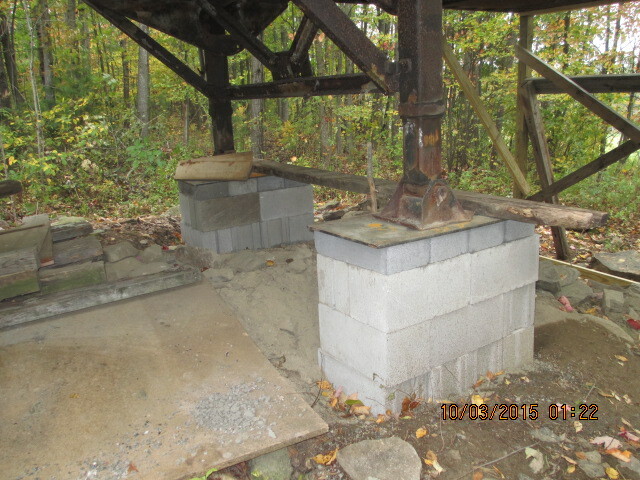 The telescoping feet now rest on assemblies of concrete block filled with sacrete mix topped with 17” x 33” x 3/8” steel plate. 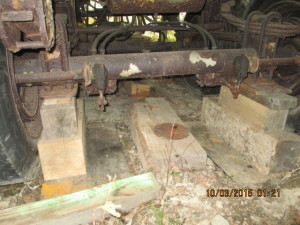 The rear-most of the two axles now rest on wooden blocks that rest on a pair of 17” x 33” x 3/8” steel plates. No support under the other axle at this time, but perhaps could be added in the future. 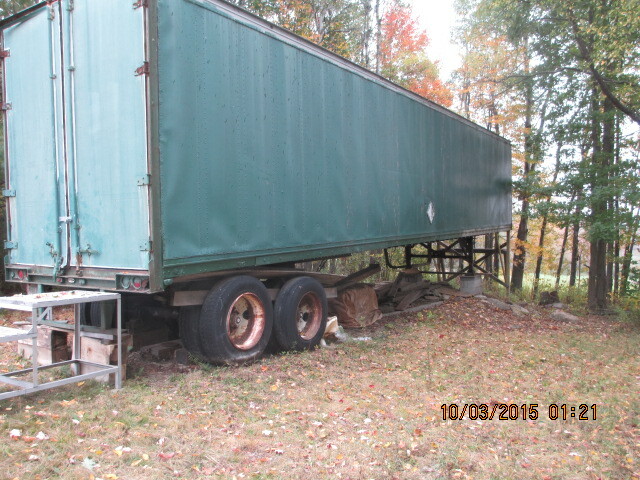 The inside of the trailer has been swept out. 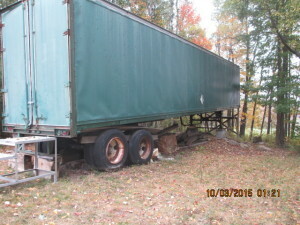 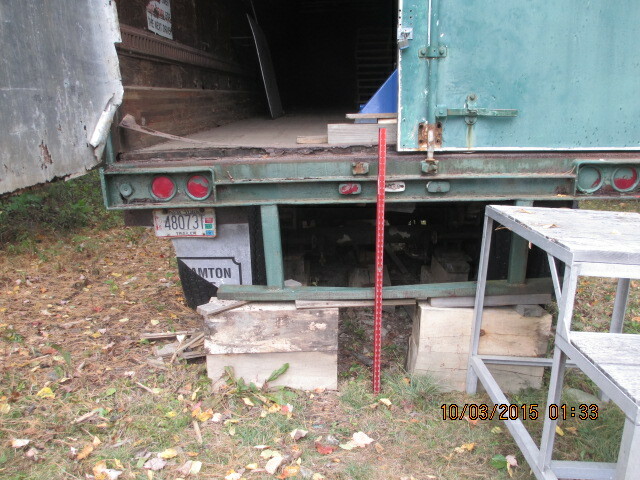 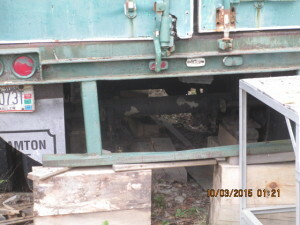 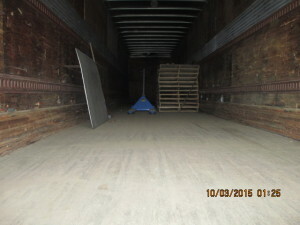 There are two stacks of empty white-flyer wooden pallets that are about half-way down the right side of the trailer. 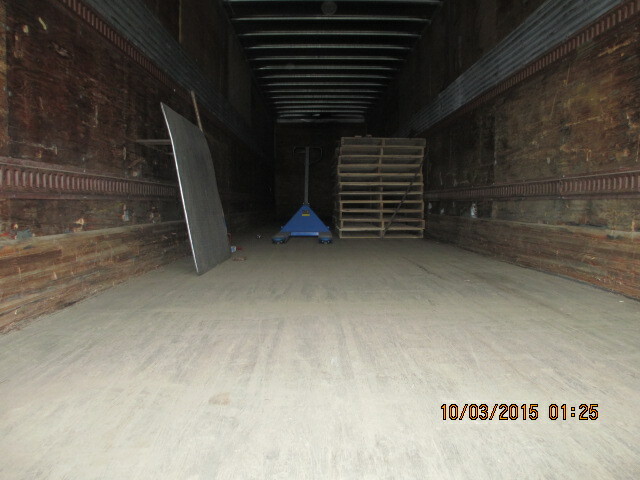 These stacks of pallets can initially stay where they are and allow 7 to 9 pallets to pass by and be put away. At about the half way point of unloading, these stacks of pallets will be transferred to one side the delivery trailer and allow the unloading to continue until complete. 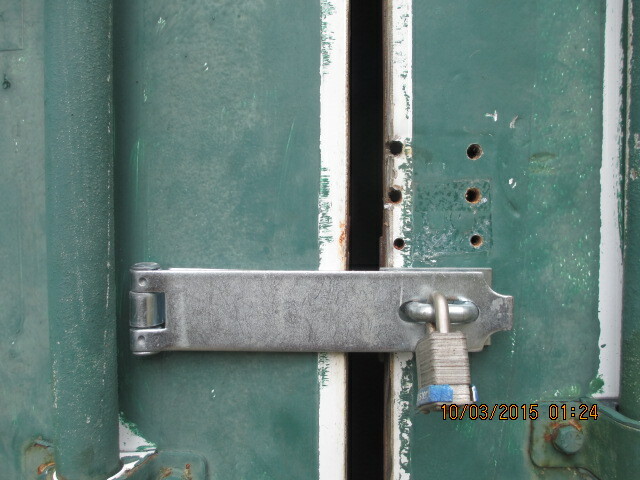 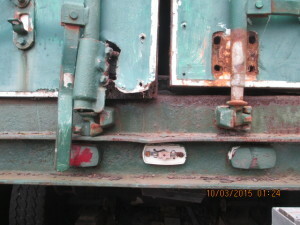 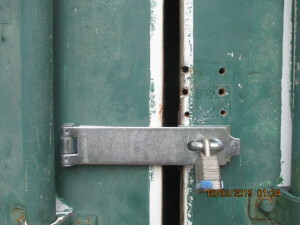 New holes have been drilled for the lock hasp to maintain ability to lock after the doors shifted from the trailer twisting and distorting. The height of the deck has been increased to better accommodate the standard 48” deck height that we expect the delivery trailer to be. The 10 inch drop that we struggled with in Oct 2013 should largely be resolved.